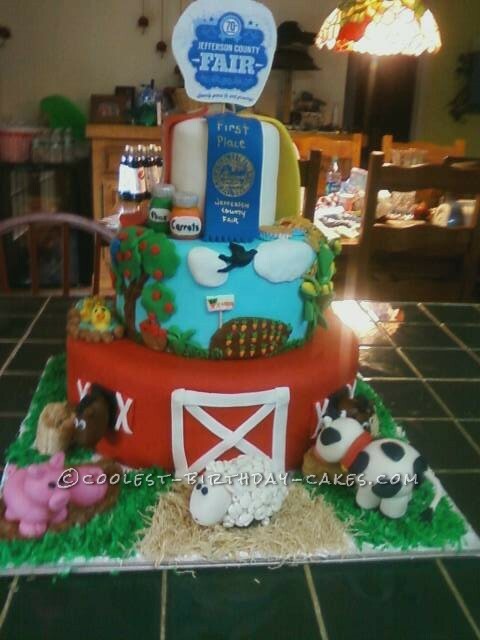 Our Jefferson County Tennessee Fair was celebrating its 70th year this year and I decided to submit a cake in the Decorated Cake contest. I had made a decorated wedding cake last year, which I won 1st place for so I decided why not try again. 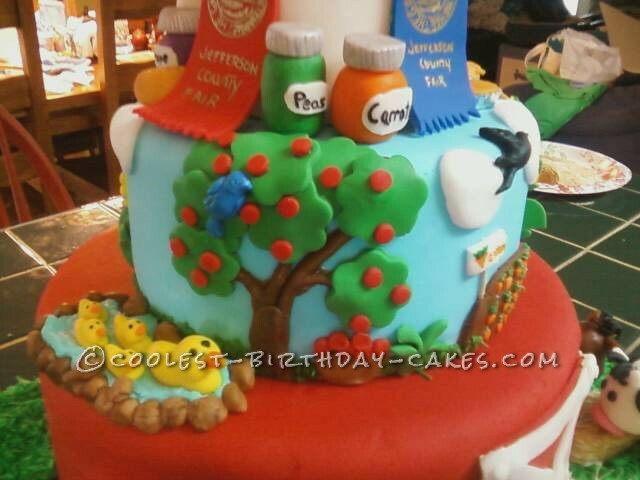 I decided to design the cake with a true county fair theme. I began thinking of all aspects of a county fair, agriculture, animals, food preservation, baking and winning ribbons. 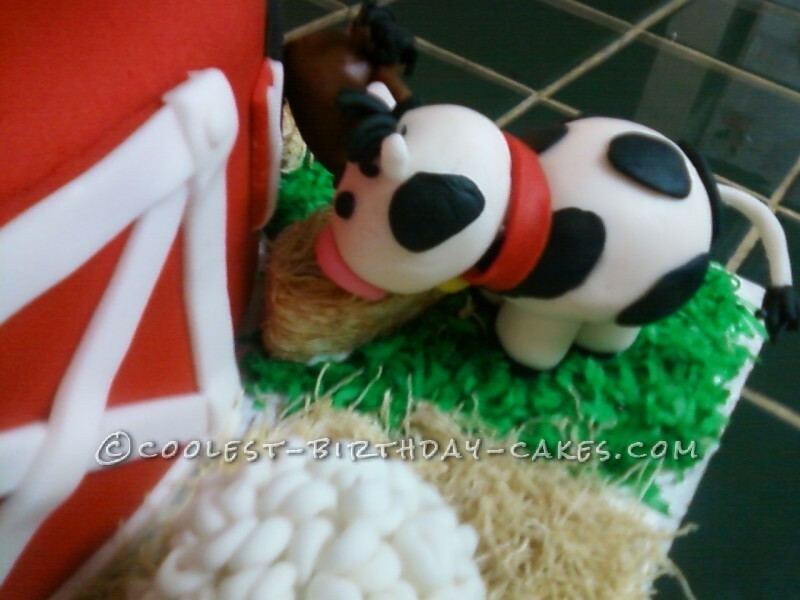 Each piece was crafted in fondant (which took weeks to make). 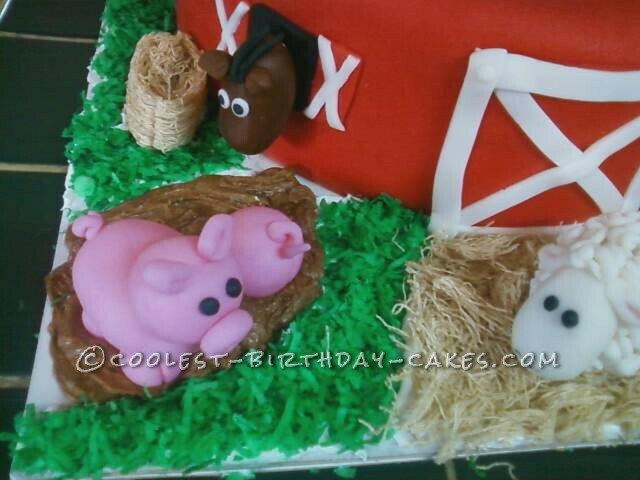 I started with the bottom layer being a red barnyard and included animals inside and outside the barn. Horses, sheep, cows and even pigs playing in the mud. I used shredded wheat to resemble the hay and chocolate frosting for my mud bath. I used green tinted coconut for the grass portions of the yard. The sheep was the most time consuming but I think turned out the cutest. 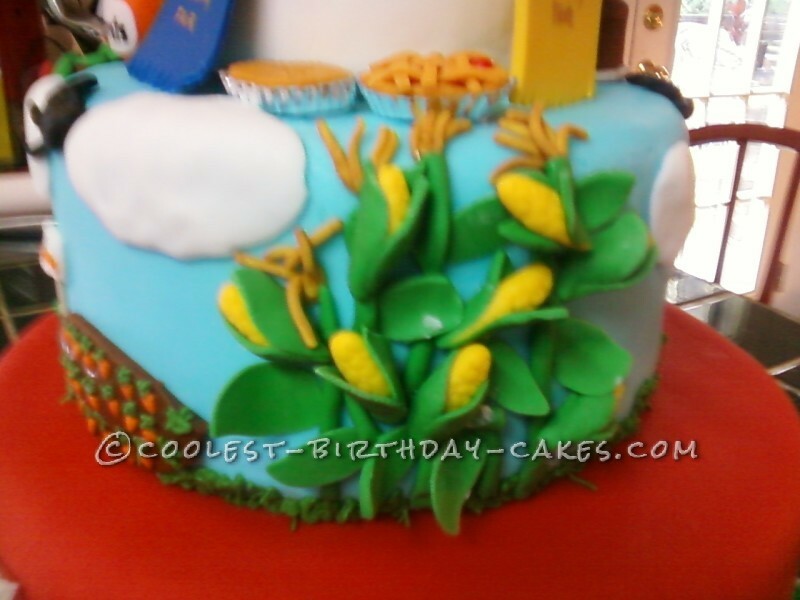 The second layer was a farm theme with a duck pond which I used blue tinted frosting for the pond and fondant rocks all around, apple trees with a bushel of picked apples nearby , a carrot patch, and corn stalks with fondant corn cobs attached. Crows also flew in the skies between fondant clouds. Sitting on top of this layer I put “entries” for the food judging. Included were fondant cherry pies and cakes, canned peas, carrots( in canning jars), homemade breads and jellies. The top layer was white fondant and I made replicas of 1st, 2nd, 3rd, and honorable mention ribbons because after all that is what it is all about. Well after all the judging was done, my cake not only received 1st place but the best of show ribbon. Don’t know if I will enter anything this year as I think this one would be hard to top!